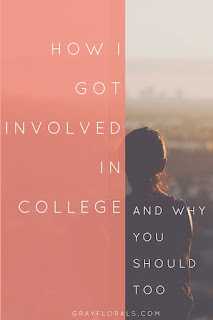 How I got involved in college // Why you should too! Everyone expects college to be the best years of your life. 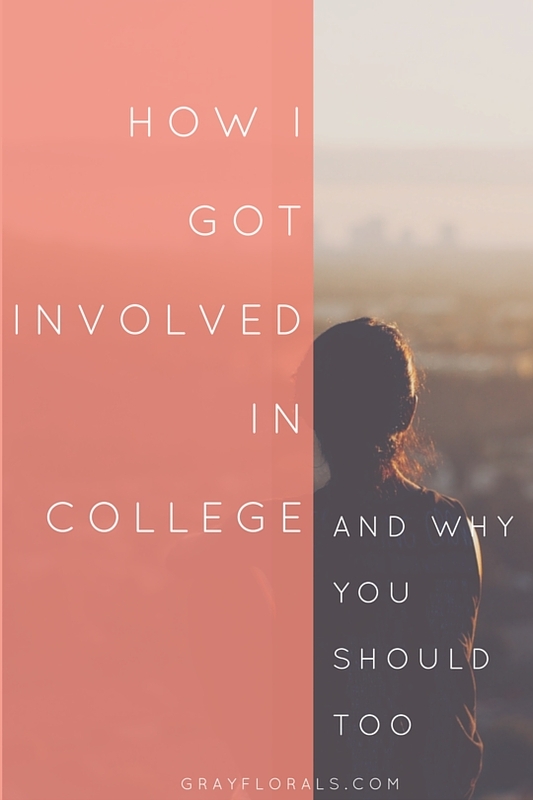 To help make that dream come true you should really get involved on campus. Depending on what college you go to clubs can vary from a video game club to the young republicans of america. Whether you choose a club that has international connections or one just starting out, you need to pick one that fits you well. I first got involved on campus by going to the get involved club fair. My college has over 300 different clubs and organizations. Everything ranging from greek life to robotics club. Since we have such a wide variety of people, there's a wide rang in interests as well. To be honest, the first club fair was intimidating to my freshman self. Everyone is calling you over, giving you handouts, giving you free t-shirts, telling you to sign up for their email list, and so much more. If you have no idea what you're really interested in doing just yet, then signing up for email lists is the way to go. Although it might clog up your inbox at first, you can always unsubscribe later if your interest fades. Maybe you already know what you think you want to do, so go to those clubs first. Ask them when their meetings are or what some of their events are that are coming up. Try not to be too intimated, they're people just like you! In my experience, I signed up for several email lists. Soon I found that some clubs are more active than others. If we fast forward to a year later I am now currently involved in a service group called Lowenthal Service Group to which I'm the President now, Marketing Club in which I am the VP of Advertising and Promotion, and I'm also a member of Colleges Against Cancer. It doesn't take much to get involved, start small and if you like it, stick with it! My first leadership position was at Colleges Against Cancer last year. I was the chairperson for entertainment for the biggest event of the club which is Relay for Life. This role consisted of a lot of emailing and was still fun without being overwhelming. I decided that I wanted to do more and here I am today, part of two executive boards. For those of you that don't know, I am a second year student at RIT studying New Media Marketing. If you follow your instincts from the start, it will lead you to great clubs and you'll meet great people and hopefully obtain a leadership position. It is an amazing experience, no matter which role you play. It not only looks amazing on a resume, but it can lead to some great stories to tell future members or even future employers. Get involved and great things can happen. I hope you learned at least a little bit from this post today! If you have any questions please feel free to leave them in the comments below. What clubs are you involved in at school? Let me know! Thanks for stopping by!